What? You’re probably thinking “Wrong blog, Mate!”, but actually, nothing could be more right. Most anthropologists (and the archaeologists who do the actual hard work of digging and measuring) agree that the first major pivotal point in human civilization was the change about 5,000 years ago from nomadic, Neolithic hunter-gatherers to settled cultivators…..of grain. And why? The answer’s obvious, isn’t it? Beer! But seriously, think about it. There’s a huge amount of ethanol going on around us, from simple natural fermentation of the sugars found in ripe fruit and malting grains by naturally occurring yeasts. Everything from insects to primates have been drawn to it in one form or fashion since time began, and not only for the nutritional value of the fruits and grains, but also for the unmistakable associated physiological effects of consuming alcohol. So it’s not that hard to imagine your average Neolithic bloke, weary from dragging his hunter-gather family around the plains, would find a bowl of some nice rough beer a happy distraction. He joins the dots, stays where the grains grow, tells his pals, et voila! Civilisation. Brewing is estimated to have emerged in southern Babylonia, or modern day Iraq around 5000 years ago. Rich soils and abundant water laid the foundation of the world’s first major civilisation, the Sumerians, of Lower Mespotamia. The made a type of bread from the grains, which they called bappir, and beer, which they called kas. They worshipped a goddess by the name of Ninkasi, the “lady who fills the mouth”, and she was definitely quite a number. On Earth, she was in charge of stuff like harvesting, beer and brewing, drunken-ness, seduction, carnal love and almost inevitably, war. The Hymn to Ninkasi, essentially a couple of songs that record the recipes for brewing, and basically how to party with beer, is considered to be one of the world’s earliest pieces of literature! After that, there really was no looking back, because here was everything needed to make large numbers of people stay in one place and watch the show. 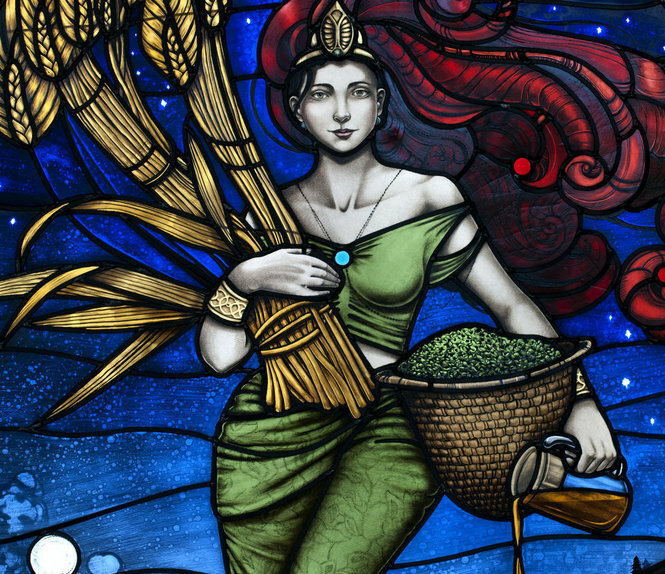 From Sumeria onward to Egypt, where in the early Dynastic period, 3100-2686 BCE, the brewing of beer became a lot more sophisticated, with use of several grains, including barley and wheat, and had become an important part of not only their culture but their economy. 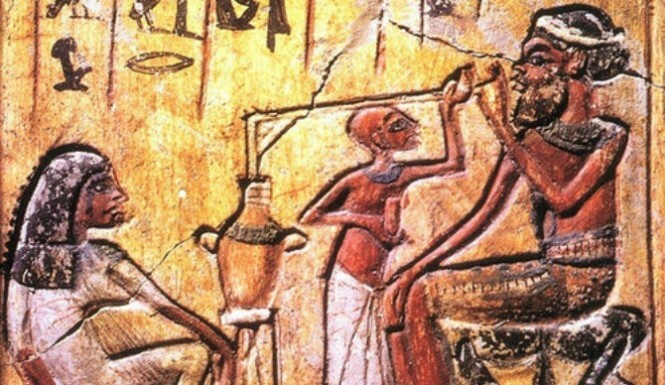 The Egyptians were in fact the world’s first major exporters of beer! Osiris, a pretty senior god in the Egyptian pantheon, in charge of the fertility, resurrection and the afterlife, was usually depicted holding his brewing staff. So they clearly weren’t messing around. As Egypt came under the influence of first the Greeks, and then the Romans, both cultures more partial wine, the expansion and development of brewing hit something of a wall. But as the Roman Empire expanded northwards they bumped into a number of grain growing, beer-friendly tribes loosely known as Celts and Germans, and even further north the Britons, whose disinterest in organized warfare and general hairiness set the tone for craft brewers as we know them today! The rest is history, which most archaeologists will tell you is the easy part.